« Teetering on the edge of disaster. What’s next for the Salton Sea? Farmers care about stewardship, but many conservation practices require large upfront investment or take too long to produce returns. At the same time, investors want to help farmers generate financial and environmental benefits, but a lack of economic data holds them back, according to a study from Encourage Capital [PDF] and the USDA Natural Resources Conservation Service. Closing the data gap between farmers and investors is key to advancing agricultural sustainability. These three steps will help conservation and grower organizations collect the economic information needed to attract private capital investment to on-farm conservation. Agriculture is an always changing system, and the success of each year’s crop depends on a complex mix of farm management, soils, weather and luck. This makes it impossible to predict exactly how a given conservation practice will perform before a farmer tries it. It also highlights the importance of understanding who is interested in the conservation practice, and what information they need to make a decision to adopt or fund it. Farmers, landowners, food companies, downstream municipalities and investors all have different criteria for decision-making. To compile the information most useful to them, we must avoid making perfect certainty the enemy of pursuing the common good. The foremost experts on the performance of agricultural conservation practices are the farmers who have tried them. The foremost experts on the performance of agricultural conservation practices are the farmers who have tried them. By asking them to share their stories, we can increase certainty about what is most likely to work for others. A set of case studies jointly released by the National Association of Conservation Districts and Datu Research does just that. The in-depth review of four Upper Mississippi River Basin farmers’ stories and financial records looked holistically at the farmers’ experience and their bottom line results. Though the farmers faced a learning curve and upfront costs when adopting practices such as no-till and cover crops, they also realized financial gains from increased yields and reduced fertilizer and erosion repair costs. Conservation organizations, grower groups and others recognize the importance of developing economic and environmental information on the performance of conservation practices. However, the lack of common methods makes it difficult to compare. If we share analytical methods and establish common best practices, we will create a bigger economic picture that can account for variabilities in land, water and farm management, and enable benchmarking. A better understanding of the business case for agricultural conservation will unlock many more opportunities to advance the adoption of these practices across the country. 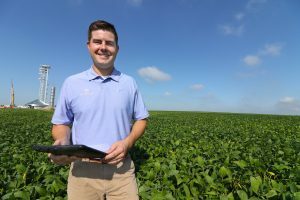 This information can give farmers greater certainty about their decisions, encourage landowners to co-invest with their farmer tenants, bring impact investors to the table, and show food companies where to focus their sustainability efforts. Furthermore, once private dollars are advancing practices that generate a return, public and philanthropic resources can be refocused to fund conservation practices that don’t pencil out for the private sector, but still provide valuable societal benefits. That means more conservation for the same price – a good deal for us all. This entry was posted in Partnerships, Sustainable Agriculture and tagged conservation finance, data sharing, Datu Research, economics, Encourage Capital, investment, National Association of Conservation Districts, Natural Resources Conservation Service, USDA NRCS. Bookmark the permalink. Both comments and trackbacks are currently closed.